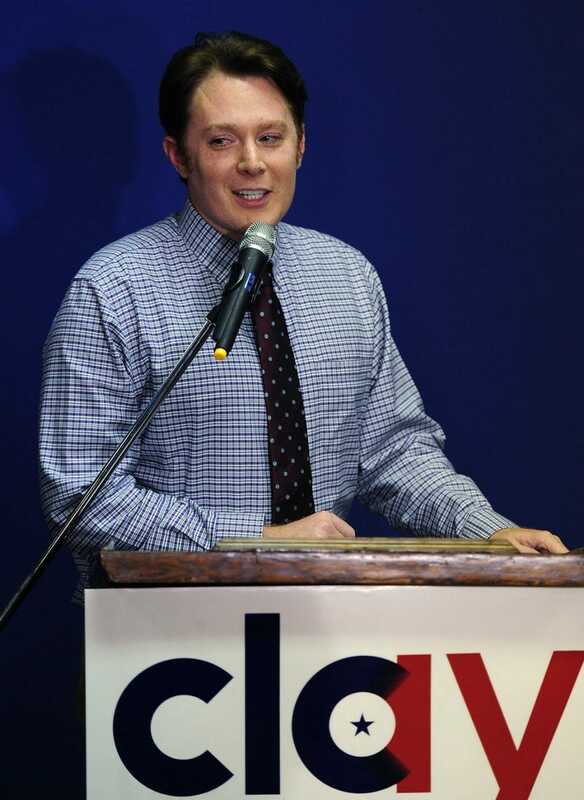 Clay Aiken, Democratic candidate for U.S. Congress in North Carolina's Second District, gives his concession speech during his election night party at Cafe 121 on November 4, 2014 in Sanford, North Carolina. Aiken, a former 'American Idol' contestant, ran for political office for the first time. Photo by Jeffrey A. Camarati/Getty Images.